Pat Michaels – on the death of credibility in the journal Nature | Watts Up With That? Big news last week was that new findings published in Nature magazine showed that human emissions of aerosols (primarily from fossil fuel use) have been largely responsible for the multi-decadal patterns of sea surface temperature variability in the Atlantic ocean that have been observed over the past 150 years or so. This variability—commonly referred to as the Atlantic Multidecadal Oscillation, or AMO—has been linked to several socially significant climate phenomena including the ebb and flow of active Atlantic hurricane periods and drought in the African Sahel. This paper marks, in my opinion, the death of credibility for Nature on global warming. The first symptoms showed up in 1996 when they published a paper by Ben Santer and 13 coauthors that was so obviously cherry-picked that it took me and my colleagues about three hours to completely destroy it. Things have gone steadily downhill, from a crazy screamer by Jonathan Patz on mortality from warming that didn’t even bother to examine whether fossil fuels were associated with extended lifespan (they are), to the recent Shakun debacle. But the latest whopper, by Ben Booth and his colleagues at the UK Met Office indeed signals the death of Nature in this field. These shifts in ocean temperature, known as the Atlantic Multidecadal Oscillation or AMO, are believed to affect rainfall patterns in Africa, South America and India, as well as hurricane activity in the North Atlantic – in extreme cases leading to humanitarian disasters. Ben Booth, a Met Office climate processes scientist and lead author of the research, said: “Until now, no-one has been able to demonstrate a physical link to what is causing these observed Atlantic Ocean fluctuations, so it was assumed they must be caused by natural variability. If Booth and colleagues’ results can be corroborated, then they suggest that multidecadal temperature fluctuations of the North Atlantic are dominated by human activity, with natural variability taking a secondary role. This has many implications. Foremost among them is that the AMO does not exist, in the sense that the temperature variations concerned are neither intrinsically oscillatory nor purely multidecadal. But not everyone was so impressed with the conclusions of Booth et al. Color me unconvinced by this paper. I suspect that if this paper had been submitted to J. Geophysical Research or J. Climate, it would have been rejected. In any event, a much more lengthy manuscript would have been submitted with more details, allowing people to more critically assess this. By publishing this, Nature seems to be looking for headlines, rather than promoting good science. And Curry has good reason to be skeptical. “In press” at the journal Geophysical Research Letters is a paper titled “Greenland ice core evidence for spatial and temporal variability of the Atlantic Multidecadal Oscillation” by Petr Chylek and colleagues, including Chris Folland of the Hadley Centre of the UK Met Office. In this paper, Chylek et al. examine evidence of the AMO that is contained in several ice core records distributed across Greenland. The researchers were looking to see whether there were changes in the character of the AMO over different climatological periods in the past, such as the Little Ice Age and the Medieval Warm Period—periods that long preceded large-scale human aerosol emissions. And indeed they found some. 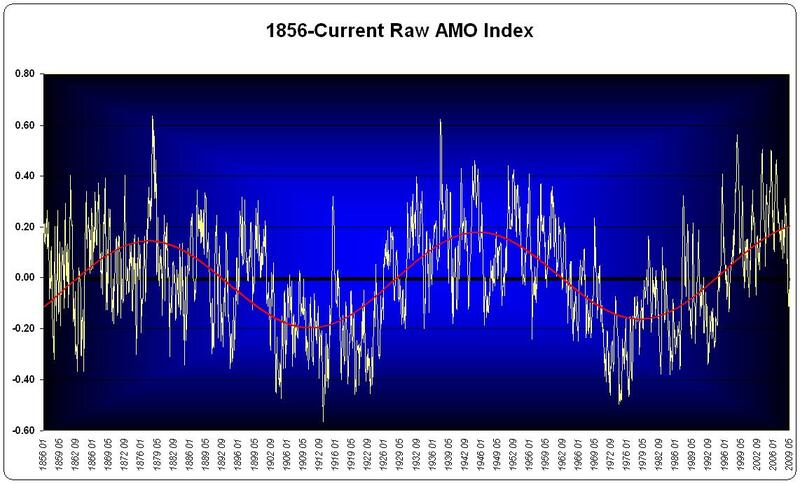 The AMO during the Little Ice Age was characterized by a quasi-periodicity of about 20 years, while the during the Medieval Warm Period the AMO oscillated with a period of about 45 to 65 years. The observed intermittency of these modes over the last 4000 years supports the view that these are internal ocean-atmosphere modes, with little or no external forcing. 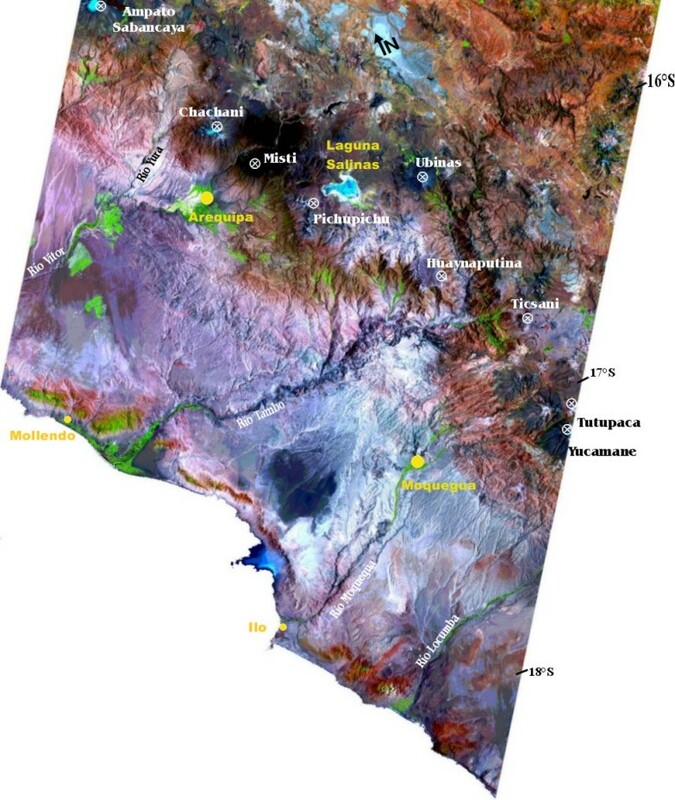 [B]ecause the AMO has been implicated in global processes, such as the frequency of Atlantic hurricanes and drought in the Sahel region of Africa in the 1980s, the findings greatly extend the possible reach of human activity on global climate. Moreover, if correct, the study effectively does away with the AMO as it is currently posited, in that the multidecadal oscillation is neither truly oscillatory nor multidecadal. Funny how the ice core records analyzed by Chylek (as opposed to the largely climate model exercise of Booth et al.) and show the AMO to be both oscillatory and multidecadal—and to be exhibiting such characteristics long before any possible human influence. May God rest the soul of Nature. We all know how unnatural those volcanos are. Doesn’t the Nature paper also undermine the climate modelers’ argument? Namely, their models purport to show that X amount of CO2 produces Y amount of temperature change. And those models assume that such changes cannot be due to natural forcings such as albedo changes (due to volcanoes) or orbital/precessional changes. All that stuff has been accounted for, leaving only CO2 as the culprit. And yet, now, we are told that other human activities may swamp the system that was so delicately poised that just a little CO2 will drive it toward catastrophe. Surely they can’t have it both ways? A system where all forcings, natural and otherwise, were already accounted for, leaving CO2 as the thing to worry about? And a system where all non-CO2 forcings are NOT so accounted for? Looking to Nature for science on the climate is like looking to Mad Magazine for political commentary. A corpse digging its own grave. Now, that’s a paragon of environmental responsibility. This is a good reminder that sceptics are getting too pleased about “winning”. Just remember that the alarmists still have complete control of most mainstream media, important parts of academia, and the major journals. Like releasing chaff from an aircraft to confuse radar, everyone should write up bogus research studies touting all sorts of man-caused disasters, and submit them to Nature — it shouldn’t be too difficult. Nature appears to be following New Scientist down the rabbit hole. Climate pseudoscience looks more like alchemy every day. Nature gives the media’s standard response to anyone deviating from its global warming alarmism narrative: Shut Up. I’m just waiting for the paper publised in Nature that shows the human influances on sunspot count. It’s only a matter of time. When I was a kid and subscribed, Nature was mostly soft science, but very good. Then it went hard, Then it drove off the cliff when it hired political environmentalists as editors. Now it is worthless. Hey, I’ll have you know that many of my political beliefs have been shaped by MAD. Wow, great catch! There’s nothing quite like a scare piece that clumsily invalidates its belief system. I wonder if the disciples will notice? You are insulting Mad Magazine. With the oceans changing phase and influencing weather they really had no choice except to come up with some way of showing Mankind was at fault or the entire “Cause” would go down the tubes. It’s all in their Nature. You might be well served if you did, at least years ago. Clearly you never paid close attention. The commentary was there, and incisive, even if it was cloaked as “Mad’s snappy answers to…” or something similar. Check their send up “Fiddler Made a Goof” if you can find it. Biting commentary on modern mores, and I remember it nearly 40 years later. Nature must be getting big checks from “Big Oil”–they can’t possibly survive on subscription fees. Dr. Michaels, thanks for the links! We all try to stay current, but there’s so much garbage flying around it’s difficult to keep an eye on everything! This whole global warming thing reminds me of one of those Bad Guys in a B-grade movie. You know, the type who keeps getting killed but comes back again and again and again. It’s dead on it’s feet, its brain just hasn’t registered the event yet. Maybe the Yellows/Greens/Reds are slow to get the message. Why not? The mainstream media certainly is. Why, these man-made aerosols are so powerful they can go back in time. For instance, here is proof. They went back in time and made hurricanes, as evidenced by the sinking of many Spanish galleons. Another vote here for Mad Magazine. Alfred E. Neuman had the good sense not to panic about Global Cooling. Maybe the Yellows/Greens/Reds are slow to get the message. Why not? The mainstream media certainly is. Isn’t that one and the same? Misanthropy….. it perpetuates itself while being self-defeating. So, have a look at Physics Today and tell me that it is any better? A lot of what once was respectable, credible science reporting has fallen into the hands of zealots. Typical runup to ipcc 5. Mike Mann established the methodology. Note that they say NOTHING about empirical evidence – it’s models all the way down. Its not just about zealotry, its about lack of science education. Modern \science journalists’ are scientifically illiterate and rely on sensationalised sound bites from press releases; press releases written by simmilarly uneducated post modern, post socialist, post normalists. The problem is general ignorance. Hey watch it, I’ll take the word of Alfred E. Newman over Michael Mann any day. I would cancel my subscription to Nature but I already did that. It is clear that truth no longer matters with warmistas. This isn’t an attempt at science. This is a barrage designed to be picked up by the MSM, another peer-reviewed study that can be quoted that “supports” the warmist view, but NOT to be considered seriously by scientists. It is part of the fighting back of CAGW: if they won’t agree, if they won’t stay silent, then we’ll overwhelm them with paper. Never have I seen a paper so far out since Veilokovsky: at least he believed what he wrote. What exactly is the source of the aerosol data in the Booth et al paper? Global warming alarmists have typically FABRICATED the aerosol data they use in their climate models to fudge the desired results. Send them a letter re-cancelling? So, controversial papers that go against the consensus should not be published? Interesting. Maybe we can start a on line poll to get these bad people fired because that is how science should be done! When researches had evidence that they had observed neutrinos going faster than than speed of light they published this. That was the right thing to do. It now looks like they were wrong. That’s how science is done. All paranoid climate conjecture. No substance. This drivel is beyond lame. It’s pathetic. It’s shameful and a real embarrassment to the hundreds of thousands of honest scientists and engineers pushing the bona fide boundaries of science with data driven research and analyses. Nature: Oh, how very low the once respected have fallen! Nothing can be natural, because then we can’t control it. Why are ape descendants so obsessed with controling everything, or is that a rhetorical question?. What kind of aerosols? What were the effects of the pre-1970s industrial pollution (the first Coal Age), and the preceding thousands of years of burning North America? Ships could detect the continent by the smoke smell and haze. The idea that the minute human contribution to atmospheric carbon dioxide is a driving force for the Atlantic Multidecadal Oscillation is lunacy. That the idea has been programmed in to a single climate model and when run the model produces the pre-programmed output is par for the course, so nothing new there. Perhaps this is a test of the global panic-alarm system, to see how many media transmitters are still working. Only the most committed media outlets will run this, so it will serve as a gauge of support in advance of the next meeting of the global warning kleptocracy. Like the “Invasion of the Body Snatchers” movies, and uncomfortably close to reality, journalism schools must have been pumping CAGW pods out for years without much notice, because even electronic and mechanical engineering mags are full of the same drivel. I cancelled Aviation Week in disgust several years ago because it had evolved into a bipolar screed embracing global warming, cap and trade and carbon markets juxtaposed with commercial aviation, which generates thousands of tons of co2 per minute. These people have insinuated themselves into every available media niche, and they will not go silently into the night. Nature, the Journal of Irreproducible Results for Climate “Science.” Actually, the JIR is a better read than Nature. Yet another example of how far away from real science climate “science” has gone. Now Nature believes real data from ice cores are secondary to a single computer model. Wow such a downfall for a once proud journal. Was this ‘adjustment’ made to support the computer model? True. I realized after I had posted that they know very well it’s all over but, by holding the reins of the MSM, they hope nevertheless to convince the masses and bring humankind down first, or with them. They are never going to let go, are they? What a sad, pathetic bunch they are. I take great delight in this swing around that is happening, they must be getting quite angry about it by now. That shouldn’t tickle me but it does. I’ve always loved to see bullies frustrated – wrong of me, I know, I should strive to be better than that. Will someone archive the raw data? Since the AMO has quite a pronounced sinusoidal 65 year signal I suppose we carefully puff just the right amount of aerosols into the atmosphere every 65 years? 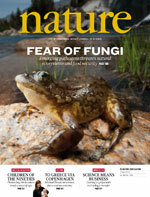 Was it Nature magazine who debunked Cold fusion? Cheep renewable energy? if it was, I have questions. Yet another sign of desperation. I think we can look forward to many more such popcorn moments as the Great Global Warming Mass Hysteria unwinds. This is exactly correct. We see writers and editors with no meaningful education in the subject of which they discourse. And this is true of economics, the military, sciences, agriculture, etc. These writers and editors went to college to learn how to influence people, they have no grounding in any discipline. Professional journals have been taken over by dolts. It is like a teacher who has a degree in teaching. He is teaching….what? A possible explanation for the scientific decline. No they wrote ‘us’ off long ago. They are putting this out for the headline, like Dr, Curry surmised. What they do know is that much of the non-scientific public is now properly prepared and gullible. What they don’t know is how the media will respond to this. They need this story published so that they can get ownership of Global Weirding. It may be a lie, and it is a long shot but it is all they have. Quarter finals, fourth down on their on 30 yard line with 20 seconds on the clock; it’s a Hail-Mary. Will the media catch the pass? Yeah–look for several of those “impossible cold fusion” products within the next dozen months or so. But as long as consumers can get the benefit from this revolutionary contraption, I could care less what Nature says about it (and it will be just one more nail in their coffin). The whole mess is based on one unvalidated computer model. Do they really expect people to take this seriously? Didn’t Mann try to claim credit for naming the AMO? So the creator of the “hockey stick” says he discovered a natural cycle in the Atlantic Ocean that he also claims to have coined the AMO, which Booth et al. now say is “dominated by human activity”? You just can’t make this stuff up. Oh, the irony. AMO is The thorn. Oh how sharp it is! See the regular, linearly warming and cooling periods of the North Atlantic (the bottom chart). Also see the 1910-1940 warming period being UNDISTINGUISHABLE of the 1980-2005 warming period. Significant cooling between them, which “they” managed almost to get rid of from the global record. Switch to cooling since 2006. And totally off climate model projection (upper chart), blindly following the CO2 curve, obviously powered by some unphysical mechanism. And we modelled our work on underarm anti-perspirant aerosols, which were shown to reduce humidity, and found all manner of droughts coincided with their increased use. “This isn’t an attempt at science. This is a barrage designed to be picked up by the MSM, another peer-reviewed study that can be quoted that “supports” the warmist view, but NOT to be considered seriously by scientists. It is part of the fighting back of CAGW: if they won’t agree, if they won’t stay silent, then we’ll overwhelm them with paper. Well, at least Veilokovsky poured through data, put his reasoning out for examination/review, and as you said, was sincere, not a money grubbing govt. funded, PR hack. So, IMHO, Nature joins “Scientific American” in the trash heap of hysterical junk science rags. Maybe they do have some good stuff in there, but figuring out which bits are the good bits takes too much time swimming in the sewer parts to sort it out; and I’m not willing to put up with the smell. It’s much easier to just do a web search and find the good stuff yourself. Model Proves Flies Cause Manure! Expresing scepticism about the unholy grail of AGW is like fighting a zombie army. Every stupid idea the alarmists come up with is examined, found wanting, killed and buried, here and elsewhere; but the next time you look the thing has come back to life and surfaced again in some unthinking MSM promo. It is particularly worrying to have seen the cancer spread so quickly and easily to all the main scientific magazines and institutions. Look at this cack. I’m ashamed that my tax money has been abused to pay for this agenda driven sleight of hand. Is there nobody reading WUWT who can get things – even if they’re only opinion pieces – into the MSM – anywhere? Because at present Joe Public is being exposed to 99.9% pure AGW drivel and, given the collapse in educational standards over the last few decades, is being given neither factual evidence nor the skills to analyse and disprove the dross he’s being fed. Intellectually, the sceptical position wins hands down every time, but from reading the MSM you simply wouldn’t know it. That, rather than relatively trifling disproofs of kindergarten pseudoscience, is the real challenge: we’ve won, but we still have no way of spreading the good news. I would not be alone in having predicted in my own mind that if the lack of 21st temperature rise continues, the warmists will find a way to blame it on man-made aerosols, thus allowing them to continue to blame it on fossil fuels and our selfish economic development. I remember including that prediction in comments at Realclimate a couple of times, before being censored. I suppose we could develop a computer model to predict where warmists will go next in their desparation to continue their weird form of science. The MSM’s time is almost over anyway, thanks to the internet. The reason there are so many uneducated idiots in journalism is because the clever ones smelled the coffee years ago and left the rats on the sinking ship. AGW was/is mainstream media’s last gasp at controlling the opinions of the population, it will never be able to manage it again. Mike you will have seen that there is NO evidence only a model and one that has not even been cross checked against other more sophisticated models. You will also see that aerosols have NOT been varying – see the cites from Hoyt in the posts above. A single model based on incorrect assumptions and using incorrect data should not really survive peer review. The case of the neutrino speed was an actual experimental observation – observational science and the data on which it is based _should be_ published – the fact that it was later found to be erroneous is also real science. However, if the neutrino team had used a single unsophisticated computer model with incorrect assumptions on say the mass of the neutrino and based on that claimed Einstein was wrong – their paper would have been rejected; as this paper from climate ‘scientists’ should have been rejected. I’ve been banging on for years about how aerosols are at least as important as GHGs in influencing climate. So I’m inclined to give this paper rather more credence than others. I’ll read it in detail later, but one point. Little Ice Age and the Medieval Warm Period—periods that long preceded large-scale human aerosol emissions. It’s something of a misconception that anthropogenic aerosols took off with the industrial revolution. what happened was that coal replaced charcoal as the primary fuel and previously widely distributed industrial production was concentrated in urban factories. It happens I have seen charcoal made the traditional way and the process produces a solid column of smoke for 3 days to produce perhaps 200 lbs of charcoal. When coal replaced charcoal as a fuel, aerosol production would have been dramatically reduced. Even though coal production rapidly expanded. Otherwise, I noted yesterday in the Bob Tisdale thread that there appears to be a reduced anthropogenic aerosol signature in the the latitudinal SST trends. One key claim in the paper published in Nature by Booth & All. is that the NAO is NOT STICTLY periodical and multidecennal and, CONSEQUENTLY, cannot tbe of natural orgin. They just forget (or don’t know) that natural complex phenomena can be chaotic (dynamical system), which leads to “approximate” periodical behavior (more precisely, in mathematical terms “approximate periodic switches in trajectories from the vicinity of one attractor to another”). Time series for NAO indicators & proxies (and for El Nino, volcanic activity, and son flares, etc.) exhibit a clear chaotic signature when submitted to the toolbox for non-linear series analysis. Also, a complex (natural) system can show some synchronisation (and resonance) between different oscillators, even if they are not linked by conventional causal links. For example a threshold, which is a non linear mechanism, can induce such synchronization (LEGION model, see wilkipedia for details). first they managed to find that CO² rise precedes temperature and now that the AMO isn’t real. Do you sense this panic before Rio syndrome? It happens I have seen charcoal made the traditional way and the process produces a solid column of smoke for 3 days to produce perhaps 200 lbs of charcoal. Philip, really, and how many charcoal fires would one need at one moment in time to effect a change in the atmosphere of the planet. This paper is $h&t. You know it, I know, Judith knows. Drug addiction has obvious unpleasant side effects, the same is the case for ‘climate science’ grant addicts. In both instances, the addict will do, or say, anything to fund his/her addiction and cares little about truth and the reality of the outside world. Mann, Nature, Chylek, Hansen etc are all classic examples of grant addiction. Problem is: science is bedevilled by ‘impact factors’ in publication. You can publish a load of tripe in Nature, but if it has an impact factor of 23, your institution will love you. If you publish world-changing science in a less high profile journal, they won’t. The whole mechanism underpinning institutional evaluation of scientific output needs to change from top to bottom. Nothing else short of a large-scale boycott by readers will change this distortion by a few ‘high impact journals’. Why these “may” science papers are always published on journals like PNAS or Nature? Heh… I said so 2 days ago. Hey, the Amerinds were using controlled burns in forests and prairies centuries before even Columbus, much less James Watt. They undoubtedly got the AMO going. Given their records in this field and the levels of politicization engaged in, with whom does the benefit of doubt responsibly lie? Michaels? Or Nature and Santer? C’mon now. Really! Not even close. It had its problems with biology too. They rejected the first paper on PCR (polymerase chain reaction) The single most important method discovered in biochemistry in the last 30 years. It was essential for the Human Genome Project. With patents submitted, work proceeded to report PCR to the general scientific community. An abstract for a American Society of Human Genetics meeting in Salt Lake City was submitted in April 1985, and the first announcement of PCR was made there by Saiki in October. Two publications were planned – an ‘idea’ paper from Mullis, and an ‘application’ paper from the entire development group. Mullis submitted his manuscript to the journal Nature, which rejected it for not including results. The other paper, mainly describing the OR analysis assay, was submitted to Science on September 20, 1985 and was accepted in November. After the rejection of Mullis’ report in December, details on the PCR process were hastily added to the second paper, which appears on December 20, 1985. You could at least do me the courtesy of reading what I wrote. The paper may or may not be ****, as I said I haven’t read it yet. My point was that the assumption that anthropogenic aerosol production only started with the Industrial Revolution is probably false for the reason I stated and for several other reasons. One of which is that large scale burning of agricultural waste was a common practice in the developed world until about 40 years ago and still is in much of the developing world. Practices that pre-date industrialization and would be unaffected by industrialization. ..and it looks like Nature, Sci-Am, New Scientist, and even the National Geographic might be good targets for such an exercise. This is somewhat related to the long-term political strategy of the left, the “Long March Through the Institutions” of Gramsci. Here in the US, public education is pretty well captured by the left. Some parents resort to home-schooling as a response. Enter ‘dumbing down’ as a search term on Amazon. There is an old joke about US politics — you can vote for the evil party or the stupid party. Note that only one of 100 senators, Inhofe, identifies AGW as a hoax. I don’t expect much from the current presidential challenger. Can the internet era, in which the establishment does not have complete control, allow a countermarch? WUWT would be an early example, if that is possible. Right now, AGW propaganda can indeed claim most of the major institutions in US science. Are psychological tricks deliberate? Enter ‘obama NLP’ in google…get 241K hits. The late professor E. R. Hilgard of Stanford studied hypnotic suggestion in about 5000 students and discovered a ~normal distribution, which means that about 15% of the population is VERY suggestible. The results were confirmed at Harvard with group experiments. The high responders supply recruits for the left. I suspect that the readers of this blog are the other end of the curve. Why would a “scientist” refer to dirty pollution? This is not a scientific term. Phil, your point about charcoal manufacturing as a major source of aerosols is simply not correct. In the Mediaeval context, charcoal production was extremely expensive. The prinicipal use of the charcoal was almost exclusively for production of high quality steel for weapons and armour. It was not generally used for bulk heating; it was simply too expensive. The total production of such weaponry during four to five centuries was perhaps equivalent to about a week’s worth of modern steel production today. Given that an average suit of armour weighed about 50 lbs and add another 50 lbs for weapons. Assume that 10 million such suits were produced across five centuries (probably a considerable over-estimate, given the longevity of such weaponry and its recycling into newer weaponry and armour). This would be sufficient to cover the armour requirements of Europe, the Middle East, China and Japan during these five centuries. That’s only 500,000 tons of steel or barely 1000 tons per year. So you want to attribute major global aerosol influences to an annual global production of about 1000 tons of high quality steel? This is ludicrous. the pollies don’t deserve anything more). Unfortunately, Nature’s bloopers are a lot sadder than satire. Further to my above post on D. V. Hoyt and aerosols, and the FABRICATION of aerosol data to fudge the hindcast of CAGW models to mimic the global cooling that occurred from ~1940-1975. I have written a few technical and financial models in my career, I would dismiss anyone who claimed their model exhibited history-matching and therefore predictive skill, when they had to FABRICATE key data to force the model do so. The modeling of climate using such fraudulent practices is a blatant scam. We have known about this climate model scam since at least 2006 (see my above post), and probably much earlier. It is appalling that the global warming scam has lasted this long, has compromised the energy security of entire countries and their economies, and has wasted a trillion dollars of scarce global resources. This paper is hard to understand, but basically it seems to be saying that modelled aerosol cooling effects are 3 to 6 times greater than measured aerosol cooling effects. Therefore, they conclude, the observations are incorrect. If the observations are correct, the 1940-1976 cooling cannot be explained by aerosols. Furthermore, if the observations are correct, then the sensitivity of climate to CO2 must be much smaller than is presently modelled, just like Spencer is arguing. Yes. You do provide a correct summary. The implications of the findings of Penner at al. are explained in this thread by several posts. Thanks for the confirmation. Penner has shown that the aerosol forcing is too weak to explain the 1940-1976 cooling using the model aerosol changes claimed by Charlson (1991). The Charlson paper does not agree with observations (e.g., Hoyt, D. V. and C. Frohlich, 1983. Atmospheric transmission at Davos, Switzerland, 1909-1979. Climatic Change, 5, 61-72). In Davos there was no trend in aerosol loading from 1909 to 1979 and yet the Charlson paper claims that maximum increase in aerosol loading directly over Davos. So it is now a double whammy for the aerosol-cooling explanation – weaker than modelled forcing and weaker than claim trends. There are other papers supporting the trend conclusions above. For example, MacDonald’s (1938) Atlas Of Climatic Charts of the Oceans shows the same geographical distribution of aerosols as are now seen in the satellites. There is just one exception and that is an aerosol cloud coming off England into the North Sea. It didn’t get as far as Norway or Belgium. This manmade aerosol cloud disappeared in the 1950s along with London fogs caused by coal burning. So the trend there is actually in the opposite direction of what the modellers assume. With the small to non-existent aerosol forcing, the only remaining way to get the models to agree with observations for 1940-1976 is have a very low climate sensitivity as Lindzen, Spencer, and others have deduced. Logan in AZ: “There is an old joke about US politics — you can vote for the evil party or the stupid party. Note that only one of 100 senators, Inhofe, identifies AGW as a hoax. I don’t expect much from the current presidential challenger. …. The high responders supply recruits for the left. I suspect that the readers of this blog are the other end of the curve. Logan, I’m surprised you don’t see the obvious trick. You correctly identify that elected-politics has this left-right opposition, but you fail to see that real people have views that can not be squeezed into this left-right con. There is a famous ending I wrote to animal farm that goes: “and the pigs gathered all the animals and told them … we have made mistakes … from now on you animals can have a democratic vote to decide which pigs run the farm”. In case, it isn’t obvious, the two parties (left curled tails & right curled tails) are in essence identical (they both are pigs!) but they present themselves as being entirely opposite and if you don’t like the pigs in power, then the opposite is the pigs in opposition. At no point do any of the pig elite allow the animals to believe that they could have a government without pigs … there only choice is whether the pigs have tails that curl to the left of ones that curl to the right. Of course in Ancient Greece, the animals did run the government because the government was randomly selected animals running each ministery. But don’t ever let the pigs know that you know that we know their left-right “opposition” is a complete fraud meant to suggest a choice where there is none. As for me. I’m pro-healthcare, anti big-government, anti-WMD pro strong military. Pro women’s right, sick to the back teeth of women who then think equality means we should give them a free leg up when they are not up to the job and “equality” means making a society that suits women but not men. Sometimes I think I’m on the left, sometimes on the right …. but most often I think that I have no place in the “piggish” politics which forces me into the one-dimensional politics which means we will be forever ruled by politicians with snouts in the trough. It’s been a common practice in agricultural areas around the world for about the past, oh, say, 10.000 years or so — all of Southeast Asia goes into brownout at the end of the dry season due to burning rice chaff. If “anthropogenic aerosols” have such a profound effect on the Atlantic, why wouldn’t they have the same effect on the Pacific? Are we to assume hurricanes in the Atlantic and drought in Africa began with the use of wood for fuel or coal for steam engines? ……I recall reading or hearing of drought in Africa going back centuries…. 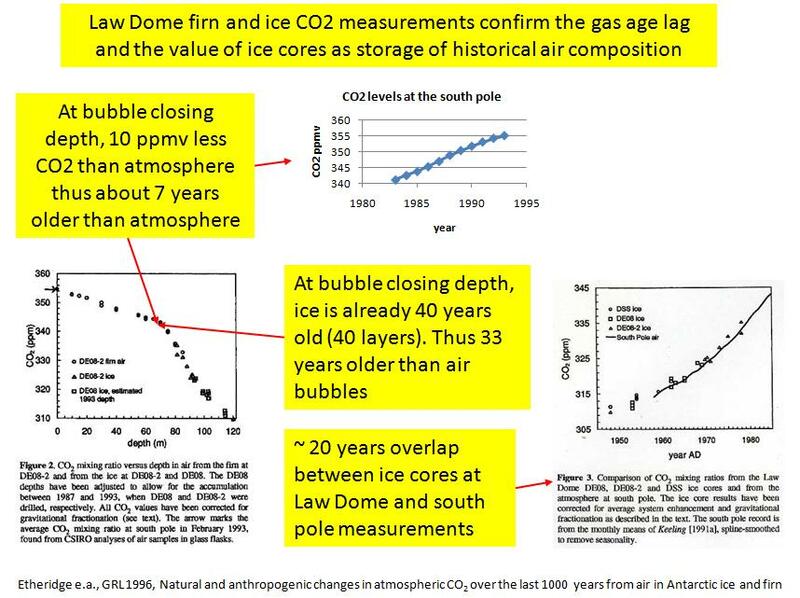 It is no surprise that they take CO2 data from ice cores and correlate them with temperatures from away, derived from data not of that area. They just as logically merged Antarctic ice core data with Mauna Loa volcano data to produce their fraudulent CO2 record for the last 100 years and we know what they had to do to make the data merge nicely, advancing data in to the future until they overlapped. So, the question is, what did they have to do to make the global temperature data from many proxies give them the answer they desired? The billionaire Gaylord family, who’s wealth originated from publishing Oklahoma’s largest newspaper, has sold the paper and moved on. I was amazed that anyone would buy it. I guess all of those “yard sale” ads really do pay off. For a while now I’ve become more and more convinced that foreign energy interests play a large role…. I guess he kew what he was talking about. Well well Mr. Michaels: Why haven’t you published a rebuttal in the same or in another magazine? Beat these scientists at their own game. Not in blogs. I am beginning to get quite upset that all the skeptics (Mr. Eschenbach and Mr. Easterbrook on the Shakun paper) know so perfectly well everything, but refuse to publish their results in peer-reviewed magazines. If you have good points on which one cannot get around it should be easy to get published. I think there may be another chicken/egg situation here. 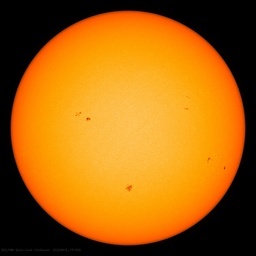 I would like to see how our economic activity and recessions correlate with solar activity and ocean cycles. I’m guessing that what actually happens is that the bad weather leads to more aerosol pollution (more use for heating, more diesel use, less efficient transportation system, more property damage…). And that solar activity drives volcano and earthquake activity. I guess you didn’t hear about the age of Sphnix being as old as 10,000-12,000 years old. http://www.robertschoch.com/sphinxcontent.html. The people you mentioned 4,200 years old may have inherited abandoned old city from earlier period. There are a few others like the one in Peru and Turkey that are that old. http://www.robertschoch.com/turkey.html and http://hiddenincatours.com/titicaca-and-tiwanaku/. To find out what happened 10,000 years or so, I stumbled on Watt’s website and others. Based on MtDNA and homo sapiens bones, we were on the earth for only about 200,000 years. Makes you wonder. Here is the youtube video. I would hate to have lived in that harsh condition a long time ago. The past 10,000 years is relative calm compared to the years before that. Why the restriction on loss of credibility as ‘in this field’? I’m sorry, but once a journal is shown to be politicized and non-competent, it’s an across the board thing…. The rot in science is across the board too. A pooled weighted average of 1.97% (N = 7, 95%CI: 0.86–4.45) of scientists admitted to have fabricated, falsified or modified data or results at least once –a serious form of misconduct by any standard– and up to 33.7% admitted other questionable research practices. In surveys asking about the behaviour of colleagues, admission rates were 14.12% (N = 12, 95% CI: 9.91–19.72) for falsification, and up to 72% for other questionable research practices. Meta-regression showed that self reports surveys, surveys using the words “falsification” or “fabrication”, and mailed surveys yielded lower percentages of misconduct. When these factors were controlled for, misconduct was reported more frequently by medical/pharmacological researchers than others. Scientists acknowledge colleagues are engaging in questionable practices, “14.12% for falsification, and up to 72% for other questionable research practices It would seem scientists are not only aware of the problem but that it is systemic. This type of information is now making it into the public domain. Science is now getting a black eye that will be very difficult to recover from. This leads the general public from the Scientific Method and concrete facts towards the Hegelian Dialectic where there is no such thing as facts or truths only a synthesis of opposing thoughts. The same thing happened to Science News a few years ago. Scientific American, Nature, Physics Today, Science News: they have all jumped the shark. It’s too bad. I especially miss SN, since I used to spend a few hours every Saturday morning reading it. Now I can’t stand even to look at it, or its website, or take in its dumbed-down writing or editorial propaganda. There is no reason to subscribe to any of the science magazines.There just aren’t any left (that I know of). ….My point was that the assumption that anthropogenic aerosol production only started with the Industrial Revolution is probably false for the reason I stated and for several other reasons…. You are also missing the point that wildfires have been around since well before human use of fire therefore aerosols from the burning of wood or from volcanoes or naturally burning coal seams, or tar pools, or oil seeps has also been around. These trees have closed cones. This means they need fire to reproduce, which makes them pyrophytes trees. Only two other pines are also pyrophytes the Bishop (Pinus muricata) and the Beach (Pinus contorta).The heat from the fire allows the cones to open up and release their seeds. The trees are usually around the same age and are similar in height within their habitat because of this process. Without fire they will no longer be able to reproduce and would die off as a species. … For example a threshold, which is a non linear mechanism, can induce such synchronization (LEGION model, see wilkipedia for details). Perhaps I am being thick today but I could not find anything that looked relevant. Would you please supply a link. Maybe they should rename their journal Nature’s Fables. Too bad the sample size is so low. from now on you animals can have a democratic vote to decide which pigs run the farm”. This is democracy. There is the centre line which you have to follow to have any chance of being elected. All candidates have to be close to the line to have a hope so they appear identical. With little to choose between them, people get heated about the twist in the tails. It is now blatantly obvious that science is scraping the bottom of the barrel with such nonsense. There was a time when one could have faith in the peer review scientific literature. Now, I believe there are two types of scientific literature (a) studies like this one constantly trying to promote the catastrophic man-made global warming mantra, and (b) studies that constantly expose such studies and demonstrate there is no basis to support the catastrophic man-made global warming mantra. It truly has descended into a bloody mess, and a joke! A serries of MEASUREMENTS were made in the real world. More MEASUREMENTS were made in the real world that also demostrated the same anomoly. When the experimenters (scientists/people who use REAL WORLD experiments) could not explain the REAL WORLD MEASUREMENTS they published a paper – which basically said – WE DO NOT BELIEVE OUR RESULTS; please help us explain – here is the DATA from our real world EXPERIMENTS. Can any one see where we went wrong OR is there something new IN OUR DATA. Do you see any models ? Do you see the original Data ? Are you invited to FIND OUT what is WRONG ? Using a MODEL (which is not validated against the real world or against other models) with model parameters we can NOT justify against real world measuremnets we have made up a scenario IN OUR MODEL where black is white and the flim flam dances with a million angels on the head of a pin. As a result of tampering with all the un-validated input variables in our un-validated model (which we have not cross checked against either other models or reality) the flim flam indicates that Climate is affected by Aerosols. What we are now seeing is the demonstration the instability of falshoods. The maintainece of a lie eventually requires the production of more than one additional lie. Eventually this results in a situation where lies are produced at rates that resemble the production rate of snowflakes by a blizzard. The snow is starting to stick and the temperature and the barometric pressure are falling. The good news is that when this is over the credibility of those who attempted to hijack science for purely political purposes will be both thouroughy and permanently destroyed. There are 8 volcanoes, one of them, the Huaynaputina, erupted with a VEI=6, during the Maunder Minimum. There are, also, more than 3´000,000 people down there, do you see any of those pesky and contaminating human begins down there?, any of their contaminating industries, copper roasting plants, etc., there? This is, as you see, a REALITY CHECK. Mr. Michaels, I find it amusing that you keep bringing up the Santer paper after Dr. Santer so thoroughly owned you on the subject during your dishonet congressional testimony a year-and-a-half ago. The credibilty of your criticism amounts to zero, IMO. You’ve got the wrong paper. So we are to believe that the oceans, with a thousand times the heat capacity of the air, are being driven by trace gas needed for life on the planet that accounts for 1/400th of the greenhouse gasses and .04% of the atmosphere? Also the supposed facts that TERMITES emit over 56 billion tonnes of c02 to mans 22 billion tonnes, and that according to DOE, mans contribution of co2 in the 1990s when the bulk of the warming took place was only 3 to 5% added to this makes me wonder, does anyone on that side of the issue stop and look not only at recent data but the sheer magnitude of the weight indicating co2 CAN NOT have anything to do with this that would be able to be detected. Combine that with the recent advancement of ideas that the specific gravity, heat and radiative properties are different and the fact that record cold is now showing up over the tropics at the very place trapping hot spots were supposed to be developing, that the pdo has flipped and the AMO is now cooling, AHEAD OF SCHEDULE, makes me wonder how these people could have risen to the levels they have, and have any credibility at all. There is no way you can look at these facts and not at least have doubt, if not just laugh at the absurdity it will be proven to be. I will tell you this. I can now see how the Germans and Italians were brainwashed in the 1930s. Give fanatics control and have them keep pressing their agenda on unsuspecting people and you can see the results. A different type here, more soft tyranny, but unless stopped it will again mean a giant setback for the progress of mankind, Kind of scary. We’d be living in a much better world if more of our politicians had developed their world views from MAD Magazine. Cynicism is a virtue. At least Mad Magazine is funny. Remember when Mann said they had to get rid of the MWP? The reason was obviously the contradiction between the temperatures at the time and the modern warming. Now someone has obviously said, “We need to get rid of the AMO.” The reason is obviously because it proves the natural AMO dramatically overwhelms the human contributions. This will no doubt lead to a new book debunking the AMO-stick and the Team will in response rally round their fallen hero with soothing public words and private ridicule. Yawn…. The editors of Nature seem to subscribe to reductionism, the proposition that every system can be reduced to cause and effect relationships. In systems which, like the climate, have non-linear dynamics, reductionism is a false proposition. They need headlines in the run up to Rio, that they can justify their gathering. It also provides a needed sound-bite that will reinforce to the uninformed that the West is bad and owes the 2nd and 3rd world its existence. Thus the West also owes them its wealth, since it was upon the backs of the “downtrodden” that the West has prospered. OH, you are soooo naïve. Let´s say that the chances of having the rebuttals reviewed by the authors of the paper at stake are high. And do you think the reviewers are going to let the journal publish the rebuttal? not a chance. Look at Steig et al 2009 Nature paper, Harry, the weather station on the western Antarctica that showed the largest upward trend produced data prior to its construction. Harry AWS station was built in Nov 1994 but Steig paper produces numbers for Harry back to 1979. There were only less than a dozen west Antarctic stations described in the paper. The paper has 6 authors and it should have reviewed, and approved for publication, for at least 2 reviewers, yet, nobody noticed the error. Do you think that it was a mistake or it was something worse? If you think it was just a mistake you are being naïve. The AGW crew is desperate. The wheels are coming off, and they know it. Hence the circling of the wagons to their controlled outlets such as Nature and the latest round of fantastic and ridiculous claims. These are the last gasps. The public is simply bored with and unconvinced by decades of Chicken Little hysteria from Hansen, Gore, Schmidt, Santer, Mann, Jones, et. al. I think truly Nature Has Jumped The Shark with this one. Seems so appropriate in this context. Sorry, Chip, can you help me out? Which 1996 paper was Michaels referencing in my quote from his commentary, above, and which paper is being discussed at about the 11:30 mark of the video I posted during their discussion on aerosols? While I wait for Chip to reply, perhaps you could answer the questions I posed too, given, I was so pwned, and such. Thanks in advance. As used by Nature and other AGW journals, Climate Science(?) “Models” are morphing into useful “public-consumption transfer functions.” Specifically, to give gravitas to a Climate Scare Story, (1) a Scary Climate Scenario is conceived, (2) a “Model” is created that translates (transfers) the Scary Climate Scenario into scientific terms which the general public doesn’t understand but assumes are valid because after all who can question all those scientific terms?, and (3) the “inverse” of the scientific terms which reconstructs the “Scary Climate Scenario” is then used to “prove” the Scary Climate Scenario.” P.T. Barnum would be proud. So we are to believe that the oceans, with a thousand times the heat capacity of the air, are being driven by trace gas needed for life on the planet that accounts for 1/400th of the greenhouse gasses and .04% of the atmosphere? Also the supposed facts that TERMITES emit over 56 billion tonnes of c02 to mans 22 billion tonnes. I just ran across an interesting Scientific American Article. in my comment here, I linked to a study that shows dicey conduct on the part of scientists is rather common. However the Scientific American Article, base on the opinion of Dr. Goldstein. …Goodstein should know because his job as the vice provost of Caltech was to investigate allegations of scientific misconduct…. …So some scientists sin, it’s true. Given the fiercely competitive nature of research funding and the hardscrabble intensity of scientific status seeking, it is surprising that fraud isn’t more rampant. 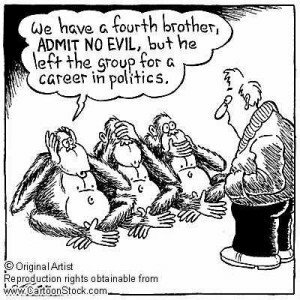 The reason that it is so rare (compared with, say, corruption in politics) is that science is designed to detect deception (of one’s self and others) through colleague collaboration, graduate student mentoring, peer review, experimental corroboration and results replication. The general environment of openness and honesty, though mythic in its idealized form, nonetheless exists and in the long run weeds out the cheats and exposes frauds and hoaxes, as history has demonstrated. 1st they had to get rid of the MWP, then the LIA, now the AMO, next it’ll be the PDO. They won’t rest till they have erradicated all possible natural variation, leading to the unescapable conclusion that it can only be man and man alone that is the culprit. Is this the same model used to predict milder UK winters? I call the paper horse s##t. John@EF (April 12, 2012 at 9:38 am). Sorry, John, I stand corrected. I recalled Santer’s (a href=”http://www.masterresource.org/2010/12/divvy-up/”>incorrect in my opinion) rebuttal to Pat’s demonstration that the IPCC’s usage of the term “very likely” was not appropriate in assigning most of the warming since the mid-20th century to increases in GHGs, but I had forgotten that the 1996 paper was also brought up at the Hearing. As you may have guessed, I was not as convinced/enamored/taken in by Ben’s defense of his 1996 paper as you were. Thanks for your reply, Chip. Your impression of non/convincing nature of Santer’s brief defense against Michaels attack on the 1996 paper in that clip aside for a moment – remember, Santer e.a. had already replyed to Michaels’ criticism a written journal response – I’m interested in your impression of the veracity of Michael’s testimony, generally. There are other clips from that testimony available for viewing too. Michaels adheres to his now primary role of advocate, where rhetorical tools like half-truths, diversion, etc., abound. I’m sorry, but Pat Michaels is not a credible source if you’re interested in balanced and comprehensive analysis and commentary on these issues. I’m sorry, this article is on the crashing credibility of the journal Nature. If you want to make statements about “balanced and comprehensive analysis and commentary”, then we will discuss the thoroughly corrupt individuals on your side of the fence: Hansen, Schmidt, Mann, Santer, and all the rest of the conniving, unethical rent-seeking reprobates on display in the Climategate emails. Not one of them has any honesty or credibility, the emails simply show variations of how corrupt each individual tax sponge is. Booth et al. reportedly use the historical aerosol emissions pathway defined for CMIP5. I have included some excerpts below, but have only a limited time to pursue this question. Perhaps others have more time to investigate further. I infer from this information that the aerosol data used in the climate computer models (particularly pre-1970) is as I stated before – fabricated, not measured. Furthermore, the fabricated data is inconsistent with historic measurements. Please register in order to download data. Files include spreadsheets for harmonized global concentrations and radiative forcings, and harmonized regional emissions. Spatial emissions are provided as separate files in net-cdf format. 1) historical atmospheric concentrations as well as concentrations for the RCPs (2005-2100) and their extension to 2300 (ECPs). In total, atmospheric concentration of the following gases are provided: CO2, CH4, N2O, all flourinated gases controlled under the Kyoto Protocol (HFCs, PFCs, and SF6), and ozone depleting substances controlled under the Montreal Protocol ( CFCs, HCFCs, Halons, CCl4, CH3Br, CH3Cl). 2) historical emissions data (1850 – 2000) as well as emissions for the RCPs (2000-2100). In total emissions of the following gases are provided: CH4, SO2, NOx, CO, NH3, as well as of BC, OC and VOC. Other additional species such as C2H4O (acetaldehyde), C2H5OH (ethanol), C2H6S (dimethyl sulphide), C3H6O (acetone), etc. are available only for historical biomass burning emissions (see below). 3) historical aerosols data (1850 – 2000) on the following species: sulfate (SO4), ammonium nitrate (NH4NO3), hydrophobic black carbon (CB1), hydrophilic black carbon (CB2), hydrophobic organic carbon (CB1), hydrophilic organic carbon (CB2), secondary organic aerosols (SOA), dust (DST01-04, small to large sizes)) and sea-salt SSLT01-04). In addition, temperature (T) and surface pressure (PS) is provided to enable unit conversion (all aerosol are in kg/kg, dry mass). 4) historical and RCP land-use projections and associated land-use transitions. It is a strange story. If you can imagine for an end to football games, then perhaps the argument on the global warming can also be considered as “terminated”. Journal Nature was respected for years, but now it is hated overnight. Excommunication of a magazine? Why? Say that Journal Nature has suffered from politicization? At this point, the number of interpretations that appear in this heated up debate is nearly about 130. Not too many. With this small number, Nature is neither discredited nor destroyed. Your success in dealing with opposing views have been so far through the use of your patience reasonably in solving scientific problems, neither have been accusations of your opponents nor their excommunication. Journal Nature is just like the football field. You can play, just do it. Your reasons are still there and as it turns out you did not dodge a debate with the rival groups ever. This is a new opportunity. This is just the beginning. To me the fact is that the topic was just an excuse for a new start. that’s pretty NICE. Not “overnight”. This problem has been ramping up for years. You can read about the collusion between the alarmist clique and Nature, among other journals, in the Climategate emails. And yes, Nature has in fact put politics far above science. I take it that your first language is not English, so I’ll give a partial pass. But your reading comprehension should be better. Try reading the article and commenrts again, this time with an open mind. You will begin to see the seriousness of the problem. For a good example of the corruption endemic to climate science journals, see this article. Journals have become even more politicized since then. Now, with Nature’s pal review of the easily deconstructed Shakun paper, it is clear that Nature has an anti-science political agenda. If anything should rest in peace…it’s Patrick’s scientific credibility. Your views are very controversial and you hear less about this in the news, scientists are also subject to bribery and immensely influenced by their funding source. I’d like to know the funding sources of the author of the post as well as the authors of the Nature paper. I think the author seems arrogant and immensely biased towards his views and although there were 13 authors in the Nature paper, i think it shows support from LEADING researchers in the field and gives the paper more credibility. As a future PhD in Chemistry academic, I thought the point of a reviewer and scientist is to allow the data to lead the discussion objectively…not reading a paper knowing you will shred it apart. I wanted to know if the increase in fossil fuel consumption correlating to longer lifetimes is like longer lifetimes correlating with the universe’s red shift. It is also misleading because it sound as if the leaking of green house gases into the automosphere promotes our healthcare? That just sounds absurd. If you are implying that fossil fuel, through fostering industrial production, manufacturing, and research, promoted indirectly longer lifetime, i might agree with you…with a huge grain of salt. It’s people like Patrick which motivates me to work my tail off in school and replace stubborn, biased, and misled resarchers like him. Instead of facilitating our understanding of climate change, Patrick is just a gigantic road block. This article is about corruption in the pal-reviewed journal Science. However, you have turned your comments into an ad hominem attack. That is because you are a very young know-nothing lacking supportable facts, whereas Dr. Michaels has been the target of know-nothings because he is very effective and knowledgeable. And the facts [which you will not address] are in his article. Speaking of the stubborn, biased and misled, look in the mirror. You have been spoon-fed alarmist propaganda for so long that you cannot see that none of it stands up to the scientific method. The entire CAGW scare is based on the demonization of “carbon”. In fact, CO2 is harmless, and beneficial. Show us where it has caused any global harm; and try to keep the scientific method in mind: examples must be based on testable, reproducible, and verifiable evidence, not computer models. ThoughtsFromMyBalcony says ad homs and nonsense. The pre-1970 aerosol data used in this paper is literally fabricated “from thin air”. You cannot demonstrate anything from this fatally flawed approach. Here is proof – assume different aerosol data and you will get a different result. The prinicipal use of the charcoal was almost exclusively for production of high quality steel for weapons and armour. I’m afraid you are wrong. Charcoal was the fuel used by blacksmiths. In pre-industrial Europe every village of any size would have had a blacksmith, usually referred to as a smith. Which is why Smith is the commonest name amongst people of English heritage. If “anthropogenic aerosols” have such a profound effect on the Atlantic, why wouldn’t they have the same effect on the Pacific? The Pacific is much bigger and ENSO is the main driver of Pacific SSTs. You can see the effect of the mid-1990s SE Asia smogs on Eastern Pacific SSTs.. Otherwise, we have a much clearer picture of how aerosols have changed over N America and Europe over the 20th C, than over Asia. I suspect we don’t have enough data to a Pacific analysis. Even if this paper is ****, it should still be welcomed because it claims GHGs are not the primary driver of the AMO and by implication a proportion of the 20thC climate change. The use of the term ‘dirty pollution’ is laughable. As opposed to what, clean pollution?, dirty non-pollution? The reason for the term is that having labelled CO2 as pollution, they need some way to refer to real pollution, hence dirty pollution. “ThoughtsFromMyBalcony says ad homs and nonsense. Clearly the troll posting as ThoughtsFromMyBalcony did not read the thread in the link you provided in your post at April 12, 2012 at 3:47 am; viz. And the posts from Philip Bradley demonstrate that he, too, is unaware that each climate model uses completely fabricated aerosol data. One of my comments which you cite seems germane so I copy it here because ThoughtsFromMyBalcony and Philip Bradley have clearly found it too difficult to find in the link. Hmmm. Let us consider what we know about how the models incorporate climate sensitivity and aerosol effects. None of the models – not one of them – could match the change in mean global temperature over the past century if it did not utilise a unique value of assumed cooling from aerosols. So, inputting actual values of the cooling effect (such as the determination by Penner et al.) would make every climate model provide a mismatch of the global warming it hindcasts and the observed global warming for the twentieth century. In summation, all the model projections of future climate change are blown out of the water by the findings of Penner at al. Excellent comments Richard – thank you. There are earlier aerosol studies by Hand and in other in Monthly Weather Review going back to the 1880s and these studies also show no trends. Voila! Their models could hindcast (model the past) better using this fabricated aerosol data, and therefore (falsely claim to) predict the future with accuracy. In the circumstances, I still think the games would never end. I am so inclined about the subject. Thank you for submitting the true story. I am well aware that aerosols are used as a fiddle factor in the models and have observed that fact many times here. Using aerosols as a fiddle factor in the models is not evidence for or against real aerosol effects on the climate. I could cite numerous examples of aerosol effects on climate over all timescales where we have data, from the Weekend Effect thru the effect of the mid 90s SE Asia smog to the developed world and India aerosol emissions over the 20thC. I’l note that several comments above equate (claimed) absence of evidence with evidence of absence, which of course its not. “So Charlson, Hansen et al ignored these inconvenient aerosol measurements and “cooked up” (fabricated) aerosol data that forced their climate models to better conform to the global cooling that was observed pre~1975. Yes! That is exactly what I reported in my 1999 paper which I reference in my post that you are replying. My work used information that was provided by the Hadley Centre to assess how the Hadley Centre GCM was developed. And that was as follows. The GCM ‘ran hot’ (i.e. it showed much more warming over the 20th century than HadCRUT indicated had occurred in reality). The modelers postulated that sulphate aerosol from industry had provided cooling which negated some GHG warming in reality. The aerosol washes out of the atmosphere within days so its cooling effect would be near industrial activity (i.e. the postulated aerosol cooling and industrial activity would have similar spatial distribution). The magnitude of actual aerosol cooling was not (and still is not) known but this did not matter because its magnitude would have to equal the degree of excess warming indicated by the GCM if the postulate were correct. (b)	the spatial distribution of the cooling was input to the GCM to emulate the spatial distribution of industrial activity. This was a sensible test of the postulate that anthropogenic sulphate aerosol cooling was the reason why the GCM ‘ran hot’; i.e. if the postulate were correct then the addition to the GCM of the postulated aerosol cooling would provide similar spatial distribution of warming to that observed in reality. But the modified model output indicated a very different pattern of temperature changes over the 20th century than was observed; e.g. the model showed most warming where most cooling was observed, and it showed most cooling where most warming was observed. This result was inconvenient because it disproved the postulate that aerosol cooling was the cause of the model having ‘ran hot’, and nobody could think of another possible cause of the model having ‘ran hot’. This finding would have caused scientists to reject the model, but the next IPCC Report was scheduled so the Hadley Centre shouted about the match of global warming indicated by the model and observed global warming over the 20th century. But this match was fixed as an input to the model and was NOT an output of the model. Long after my paper about the Hadley GCM, in 2007 Kiehle (see reference in my above post) showed that all other climate models also ‘ran hot’ but by different amounts. And he showed that they each adopt the aerosol fix. But they each adopt a different amount of aerosol cooling to compensate for the different degree of ‘ran hot’ they each display. This need for a unique amount of aerosol cooling in each climate model proves that at most only one (and probably none) of the models emulates the climate system of the real Earth (there is only one Earth). Your post at April 13, 2012 at 6:31 am crossed with my reply to Alan MacRae. Please read that reply because it says all that needs to be said in response to your post. Very good comment and analysis, Richard. I’ll note that several comments above equate (claimed) absence of evidence with evidence of absence, which of course it’s not. Several commenters allege that the climate models “predict” but they do not do so. They “project” and this is a different concept. You are also missing the population (1850 had a population of 1.2 billion, in 1959 it was 3 billion and now it is 7 billion), and the fact of a switch to coal from charcoal in the 1800’s. It was not until the early 1900’s that iron and steel became cheap enough to be come common. …..in 1850 British steel output was only about 60,000 tons. A prediction is useful, quantified and falsifiable. A “projection” is useless, unquantified and unfalsifiable. All scientific models predict. And they are all imperfect. But they are all useful. Climate models don’t predict so they are merely computer games. Right on! Also, in the regulation of a system it is predictions that are needed. For this purpose, projections are worthless. Thus, after the expenditure of 200 billion US$ on research, IPCC climatologists have produced nothing that would be of value in regulating the climate. Widespread confusion of predictions with projections has led many to believe these climatologists have produced something of value from the 200 billion US$ when they haven’t. …Pin money is money set aside, typically for the “housewife”, to meet her needs and desires. It seems that in the early 20th century, pins were quite valuable and were only sold 2 days a year, January 1 and 2. They commanded a high price. The money that a husband gave his wife to buy pins was a large enough sum to earn its own term: “pin money”. In England, the wife often included a clause in the marriage contract giving her a lien on the rents that were collected from her husband’s lands. It was called the “Pin-Money Charge” and was enforced by the courts as a valid contractual right…. More interesting stuff to add to the collection of weird knowledge. Wang et. al say it’s naturally occurring African dust!!! “This suggests a novel mechanism for North Atlantic SST variability – a positive feedback between North Atlantic SST, African dust, and Sahel rainfall on multi-decadal timescales. That is, a warm (cold) North Atlantic Ocean produces a wet (dry) condition in the Sahel and thus leads to low (high) concentration of dust in the tropical North Atlantic which in turn warms (cools) the North Atlantic Ocean”. Whereas B.B.B. Booth et. al. say, Our findings suggest that anthropogenic aerosol emissions influenced a range of societally important historical climate events such as peaks in hurricane activity and Sahel drought. They want us to believe anthropogenic aerosol do it all. ….emissions of which are directly addressable by policy actions. Piffle! What are they going to do? Turn the Sahara into a golf course! Trouble is they don’t know how much dust there is! Or what sign the forcing really is! Um, Booth cannot speak/think clearly? Volcanos obviously fit within the cause category “natural”, can’t blame them on humans. “oman’s comment that the Nature paper works against the theory that CO2 is _the_forcer is appropriate. I have the impression that several alarmist recent papers also did so. Of course they usually blame humans regardless. As for how Nature magazine survives financially, I’d look at the propensity of university libraries to subscribe (albeit not a huge number of libraries but many), and possibly advertising (marketing people are confused, often wanting to be seen to be supporting research). There may be many researchers who subscribe or at least purchase relevant articles, out of their research grants. I do not know the answer, have not seen the rag. And a bit more along the same line. A deep well-mixed, dry adiabatic layer forms over the Sahara Desert and Sahel regions of North Africa during the late spring, summer, and early fall. As this air mass advances westward and emerges from the northwest African coast, it is undercut by cool, moist low-level air and becomes the Saharan air layer (SAL)….. Recently developed multispectral Geostationary Operational Environmental Satellite (GOES) infrared imagery detects the SAL’s entrained dust and dry air as it moves westward over the tropical Atlantic. This imagery reveals that when the SAL engulfs tropical waves, tropical disturbances, or preexisting tropical cyclones (TCs), its dry air, temperature inversion, and strong vertical wind shear (associated with the midlevel easterly jet) can inhibit their ability to strengthen. The SAL’s influence on TCs may be a factor in the TC intensity forecast problem in the Atlantic and may also contribute to this ocean basin’s relatively reduced level of TC activity. ….Upwelling Radiolarian Index and the percentage of Florisphaera profunda), surprisingly indicates that the last glacial maximum (LGM) was characterized by warmer sea surface temperature (SST), weaker upwelling, and lower marine productivity, compared with the preceding older glacial and subsequent deglaciation periods. Of the terrigenous proxies, the mean grain size of the non-carbonate fraction and the terrigenous alkane content indicate that wind strength and aridity were high. The weaker upwelling at the 658 site during the LGM may have resulted from changes in the strength and direction of the wind systems and/or shifts in the position and geometry of the upwelling cell…. Philip, your rebuttal is silly. When you look at a mediaeval economy, village blacksmiths spent by far most of their time on weapons and armour production. The only other large use of iron was in tools and implements, and these were NOT forged steel, which is the principal commodity requiring large amounts of charcoal. Fine, double the estimate. It’s still an utterly trivial amount, as is your entire contention that charcoal burning was a significant source of aerosols. have you guys seen what those folks at Union College are saying about Monckton? Nobody here cares- so nobody will check your link- because WUWT is a science blog and, therefore, people here are interested in science (n.b. not smears). Please return when yiou have something to say. Looking through the print version that snail-mail brought today brings amazement at how adroitly they avoid saying where their aerosol data came from (darned if I could find it). I just had to laugh at the summary article by one Amato Evan, earlier in the same issue, page 170, how a ‘well-known climate model..with up-to-date parameterizations of aerosols…’. It must be right because it reproduced the well-known greenhouse warming. Evan calls the Booth article’s results ‘compelling’, their model ‘state of the art’, with ‘many implications. Foremost.. is that the AMO does not exist…’Another implication .. swiings in Atlantic hurricane intensity might be…completely man-made’. Gee, what did we do to keep hurricanes away from the US ever since Katrina? It must be the shining noble governments of the peri-Atlantic countries and their assiduous suppression of aerosol emissions. Keep it us and we’ll never have another hurricane! Thankyou for that link. I read the conversation with ‘Ben B’ with interest. I think it is a prime example of the fact that discussing BS does not reduce the smell of BS. The AMO is observed in reality. A model may – or may not describe – the mechanism(s) of the AMO. And it may demonstrate that one such possible mechanism is the appearance of the AMO resulting from interaction of several effects. But a model cannot disprove the existence of the AMO or any other observed effect. I think I will write a model which shows the Moon does not exist but merely looks like it exists. Do you think I can publish the results of running my model as evidence that the Moon does not exist? Just to add WRT the persistent droughts in the 70s and 80s in Africa – if anyone would care to look up! the persistent experiments of cloud seeding off the west coast of Africa at the beginning of the rainy seasons. The scientists who conducted the studies claimed they were to blame for the droughts and subsequent famines during this period. I forget the name of the documentary but I am sure someone will have the information. Tamino [free advertising deleted. Make your own arguments. ~dbs, mod.] has shown how the Chylek et al. paper that Michaels touts to rebut this Nature paper has its own very serious problems (and, he did this despite the fact that Chylek et al. not only don’t give their code but don’t even give a very detailed description of their analysis).